What do Microsoft, Cartoon Network, Honda, LG Group and The Economist have in common? 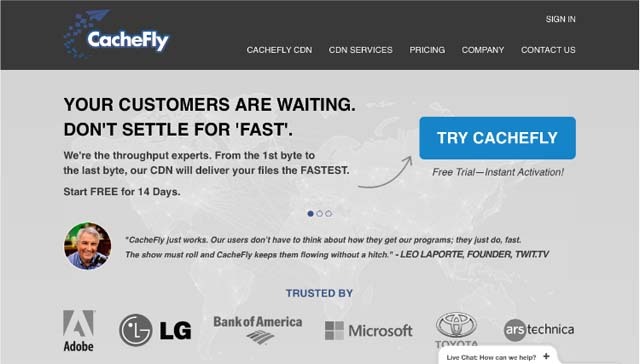 They all trust CacheFly as their CDN. Founded in 2002 and launched in 2005, Chicago-based CacheFly is one of the oldest CDNs out there. With a base of operations focused on North America, it’s one of the rare CDNs with a presence on all permanently populated continents. Operating for over a decade, they must be doing something right. So, are they getting stale or are time and experience making them better? Signing in is managed in just a few steps. First, you have to provide your username and password. Second, you need to give them your contact info, including name, phone and email. After completing these steps, you go to your email client and confirm your email address. Then you’re all set to explore the CDN. You don’t have to provide your billing info until the end of your 14-day free trial period. They accept credit cards, but not Paypal. The CacheFly customer portal is simple. 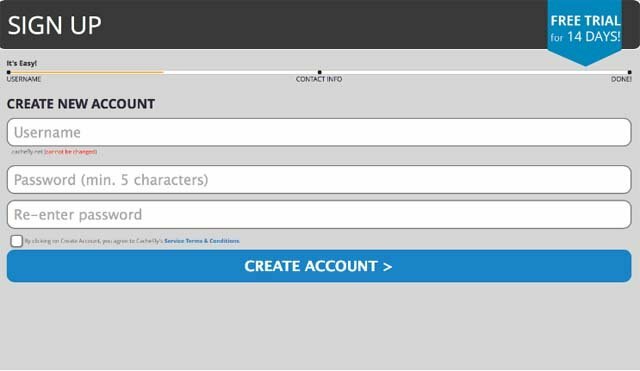 All primary functions are placed on the left side of the screen in collapsable menus, which are: Home, Account Settings, Delivery Options, Statistics, Support Center and Real Timestats (beta). While the majority are self explanatory, Delivery Options hides a number of options. There you will manage tasks such as proxy, hostnames, blocking and purging. 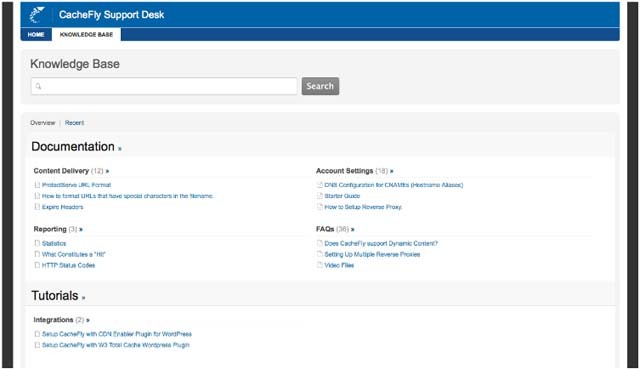 After you get into the dashboard, setup is easy if you are operating WordPress, as we did. Small welcome windows will guide you through the setup process. We selected the option for reverse proxy/origin/pull instead of uploading our files to ftp.cachefly.com. If you want to upload/push your files via FTP that’s also available. After setting up a reverse proxy, we installed one of two recommended WordPress plugins—and we were ready to go. There were no hiccups and signing up took longer than setting up the CDN. We applaud them for being so beginner-friendly! 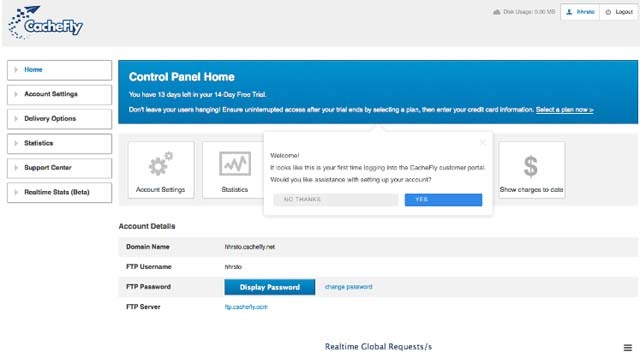 CacheFly is easy to set up, fast, offers scalable options, a 100-percent uptime guarantee and plans that should satisfy almost everyone. The company has 41 PoPs, including often-skipped Africa. The only place they don’t have one is Antarctica. They provide you with free storage and options to have your content in push or pull zones. All major video formats are supported and capable of handling bigger outbursts of activity. Security is also addressed nicely with custom SSL, URL and referrer blocking so you can control who sees what. Also offered are child FTP account configurations which allow you to create FTP accounts that are restricted to a specific root directory. There is HTTPS support; API and traffic is reported in real time. Purge and override/honoring of origin server headers is available too. It may look pretty simple, but if you know your way around CacheFly, you can do a lot. The only thing missing? Dynamic content delivery. A hiccup, not a deal breaker. Without the CacheFly support and flushed browser cache, the longest it took for the browser to load all content and files from our 5.53KB data website was 7.81 seconds, which could be improved upon. It took 522ms to establish a connection to the web server and 0.82 seconds to download all the data. Best time with CDN77 was 1.27 seconds to load all content and files, taking 35ms to establish a connection to the server and 0.39 seconds to download all the data. Without CacheFly, first byte and loading times took, on average, about 0.62 seconds for the first byte. Load-time average was 4.45 seconds. 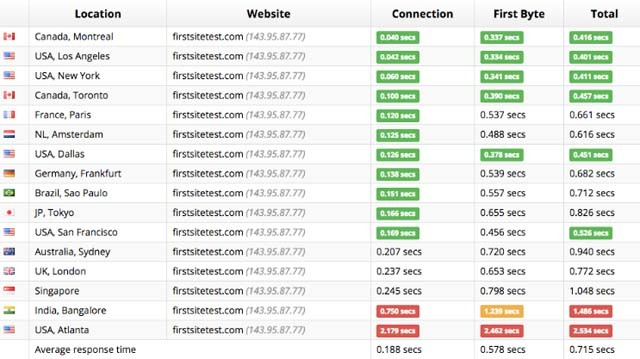 The worst loading time was from Beijing, China when one test took 42.50 seconds. With CacheFly, it took, on average, 0.36 seconds for the first byte response. The average loading time was 0.64 seconds, which approaches the average time for the first bite without it. The worst loading time with it was from Beijing, China when it took 37.02 seconds, which is something of an improvement of the worst loading time without CacheFly. We tested this with approximately 60 simultaneous requests. If you run into problems, you can refer to the CacheFly knowledge base, though we found it somewhat lacking. Don’t get us wrong, you’ll get nice tutorials, but we thought there could be more of them for specific problems. There also is a quick user guide that will take you through an introduction to the customer portal. Live chat is available 24/7, or 9am-5pm CST, depending what part of their website you are reading. To clarify the issue, we contacted live chat and were told that it’s available 24/7. This is uncommon with CDNs, so it’s a big plus. And lastly, the standard ticketing system rounds up the support options. All plans have free 14-day trial. All in all, if you’re dissatisfied with some feature of CacheFly, you’re probably nitpicking. It’s fast, reliable and easy to use for large or small companies and websites. It allows you to push or pull your content and security is not compromised in any way. The best thing is that, even if you run into trouble, they have live chat support 24/7, so you you always have someone to lean on. Ok, their knowledge base might be smaller than their competition and the dynamic acceleration is not their strongest suit. 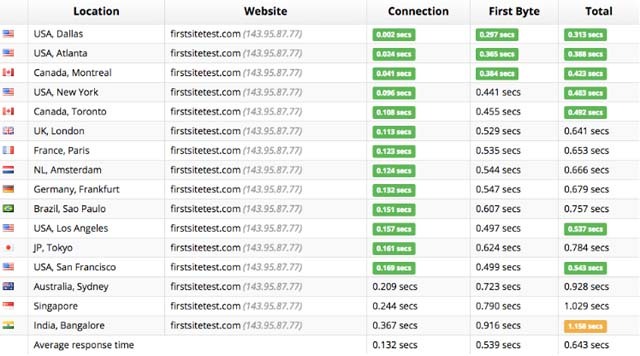 But they were really fast, if not the fastest CDN that we tested. With a free 14-day trial period, we think it’s well worth your while to give it a test run. Even if they’re not a fit for you, there will be no strings attached.